Ambassador Chacón, top row second from left, with Boettcher Foundation scholars, alumni and staff. Boettcher Scholars have undeniably left their mark throughout the state of Colorado and the United States. Some, like Ambassador Arnold Chacón, have also left a global footprint through their public service. 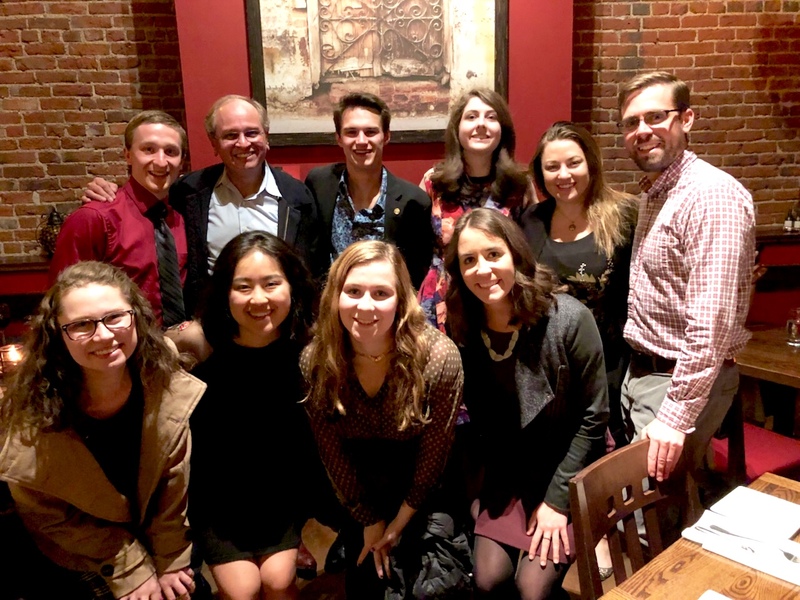 On March 12, scholars had the opportunity to dine with Ambassador Chacón in Denver and learn about his career as a U.S. diplomat while discussing opportunities in the U.S. Foreign Service. Ambassador Chacón was in Denver to assist the foundation with scholarship interviews. He is a 1974 Boettcher Scholar from Denver North High School and graduated from the University of Colorado, Boulder with a B.A. in international relations and affairs. Ambassador Chacón’s impressive career has taken him around the world. Currently, he is the Diplomat in Residence at Duke University. Immediately prior, Ambassador Chacón was the Director General and Director of Human Resources of the Foreign Service (2014-2017). He earned his title as the Ambassador to Guatemala (2011-2014) and also served as Deputy Chief of Mission at the Embassy in Madrid (2008-2011). Throughout his career, he was posted at U.S. embassies in Ecuador, Peru, Chile, Italy, Mexico, and Honduras, in addition to being part of the U.S. Mission to the United Nations in New York. In his current role as a Diplomat in Residence, Ambassador Chacón is responsible for recruiting individuals interested in internships, fellowship, and careers in the Foreign Service and had a captive audience of Boettcher Scholars who shared their personal stories of recent and anticipated engagements abroad. Some of the Scholars in attendance are actively pursuing roles with the State Department. No doubt, these impressive scholars may one day rise to the rank of ambassador themselves.